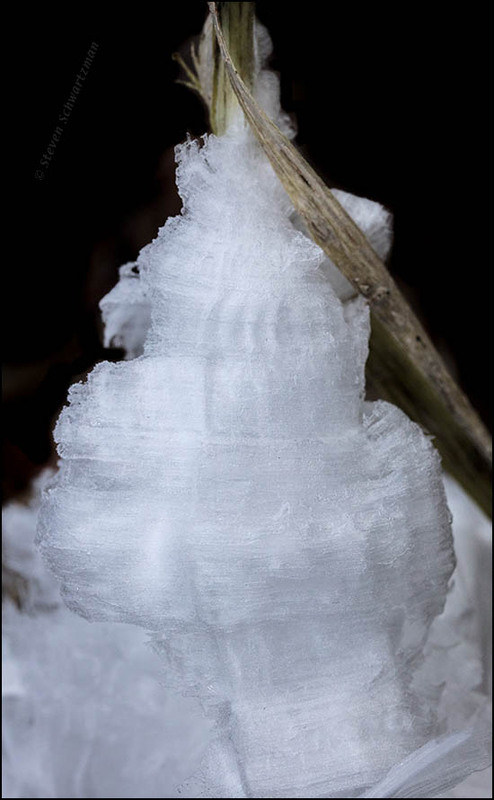 The extrusion of ice by frostweed (Verbesina virginica) is a great natural phenomenon. Austin’s temperature stayed mostly below freezing from the morning of January 1st, when I went down to Great Hills Park to take my first photographs of the new year, through this morning, when I returned for a second round of frostweed pictures, even more than two days earlier. 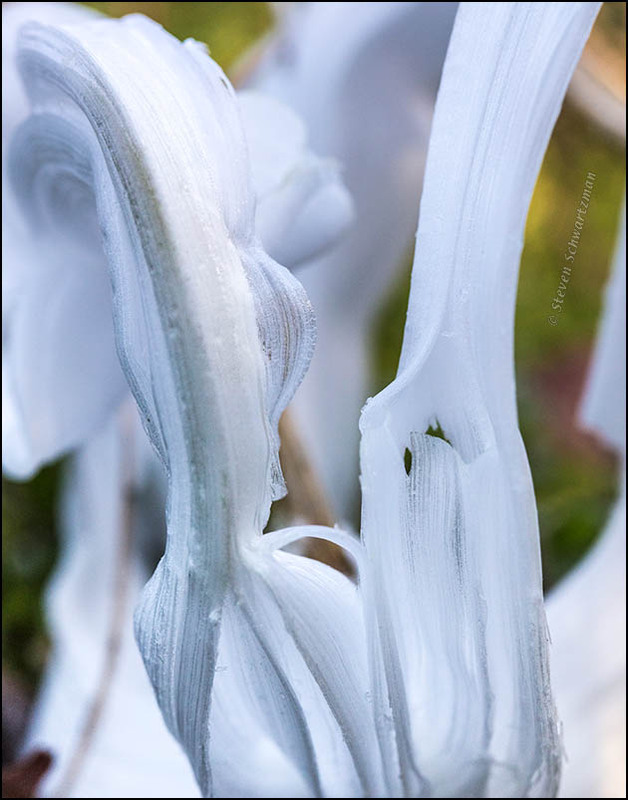 Frostweed ice offers an opportunity for photographic abstractions, and that’s what you’re seeing here. 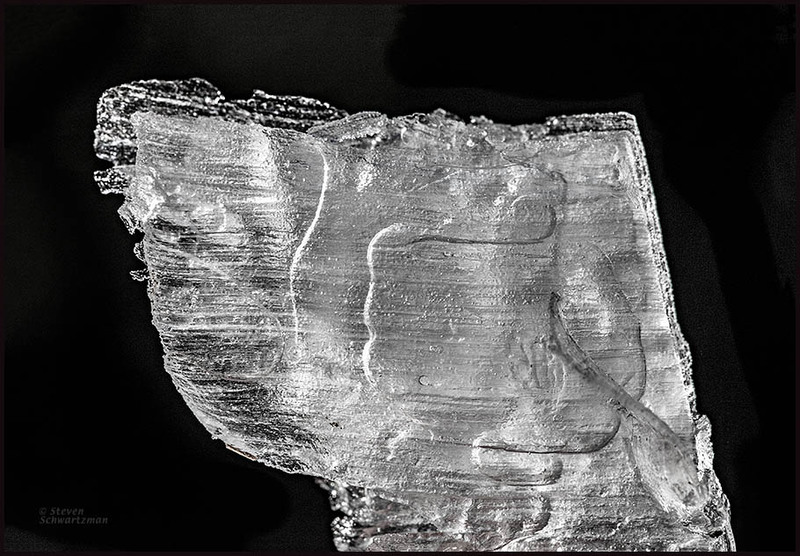 Unlike the picture you saw last time, which involved flash, today’s images were made by natural light, which necessitated wider apertures that produced a softer feel. I wasn’t expecting another chance this season to photograph frostweed ice. My outlook changed two nights ago when the weather forecast for the morning of January 7th predicted a low temperature of around 23°F (–5°C). Out I went into that cold morning, once more to Great Hills Park, and sure enough some of the frostweed plants were doing their thing again. Because of previous performances, this time practically all the ice displays were way down low on the stalks, often touching the ground. 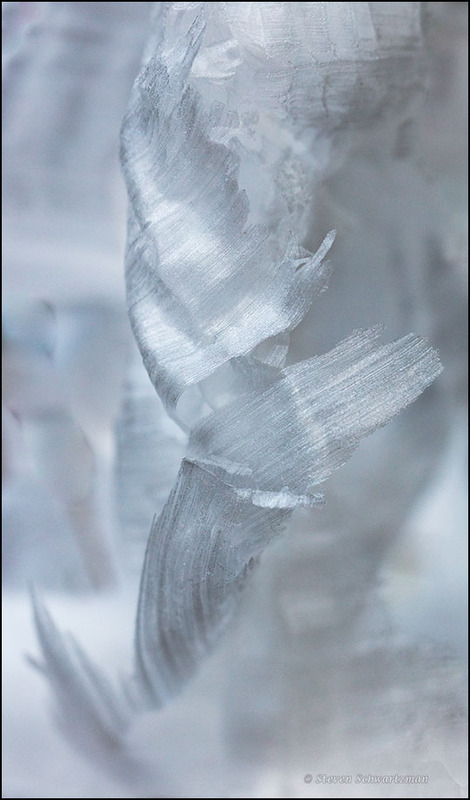 In my 90 minutes of taking pictures I went mostly for close and abstract views of the ice, one of which you see here. Click for better quality and clarity. 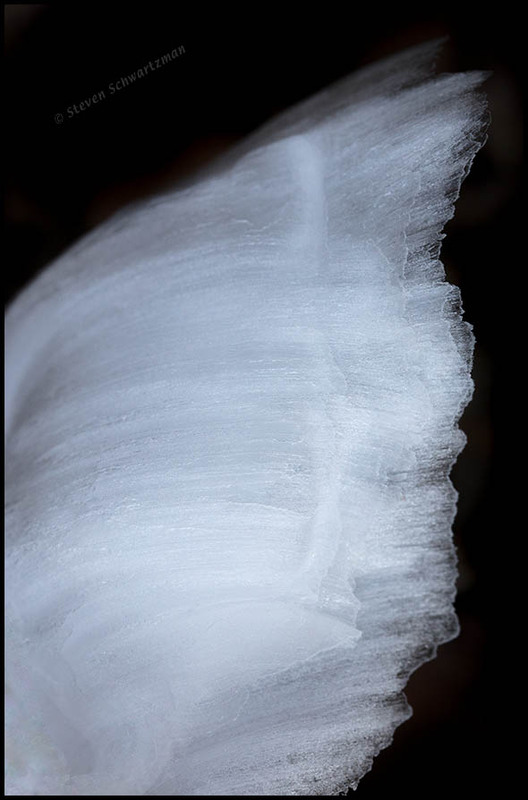 The person in the title is me, who came in after two hours yesterday morning spent spying on the ice formations produced by frostweed plants (Verbesina virginica) in Great Hill Park. For the first time this season the temperature in Austin dipped below freezing overnight, as the forecast had predicted, so I felt duty-bound to bundle up and go out into the morning’s 29° in hopes that that would have been cold enough for frostweed to do its thing. It had been. Unlike pictures of the phenomenon I’ve posted here in other years, this photograph emphasizes the way the ice first splits the outer part of a frostweed stalk. Notice that the tissue just inside the brown bark is still green.